Once the second-largest town in Queensland, Charters Towers has an interesting gold rush history, which you can see firsthand in the well-preserved city centre, known as One Square Mile. This grand feature, along with some of the other significant local sites of the gold rush era, can be explored on the Ghosts of Gold Heritage Trail. At the Charters Towers cemetery, you’ll find the remains of Queensland’s last bushranger, as well as Jupiter Mossman – the Aboriginal boy who is said to have discovered gold in Charters Towers. 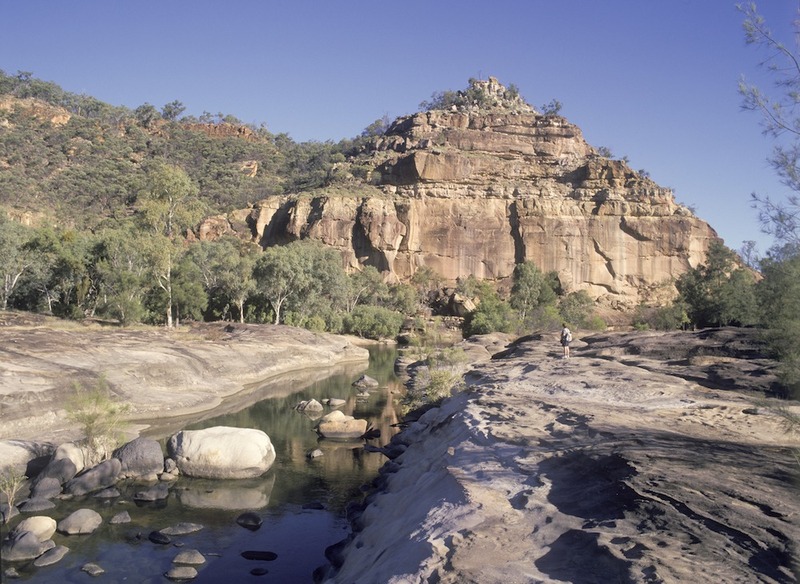 As you head towards Hughenden, stop at either Burra Range or Mount Walker lookouts and take in the views of the Queensland countryside dominated by buffel grass – a very drought-tolerant grass that is abundant in this region. Stop in the tiny town of Pentland and visit the old Norwood Police cells, or simply enjoy a refresher at the Pentland Hotel. You’ll also pass through the small towns of Torrens Creek (population: 20) and Prairie (population: 50). Both are on the Great Northern Railway line, which is a major freight route linking the Mount Isa mines and the Port of Townsville. The Prairie Hotel is worth a visit to check out the unique collection of stockmen’s hats and other memorabilia – but beware the ghost of the wandering ringer who is said to have been haunting the hotel since the 1930s!